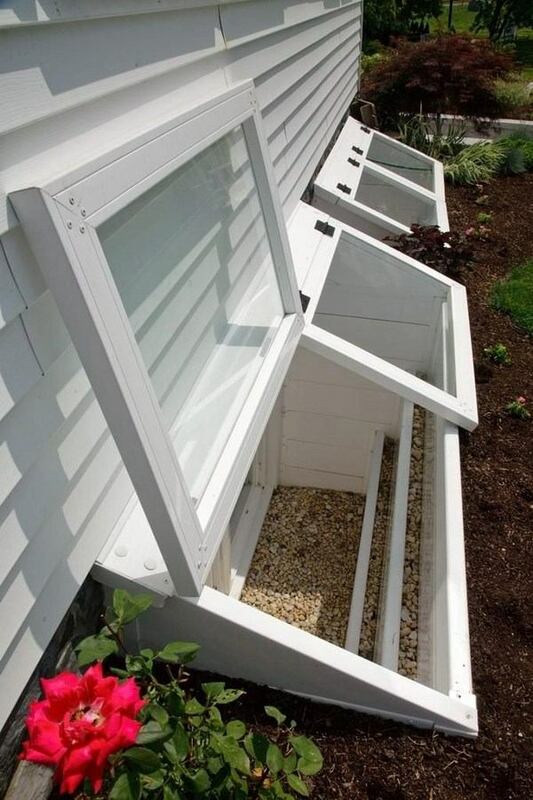 Window well covers will depend on the type of the window wells, their size, shape, location, etc. 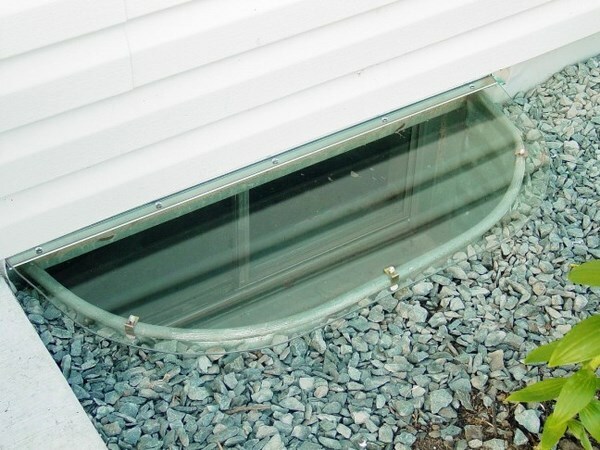 The main function of window wells is to provide access to the basement windows and a quick exit in case of emergency. 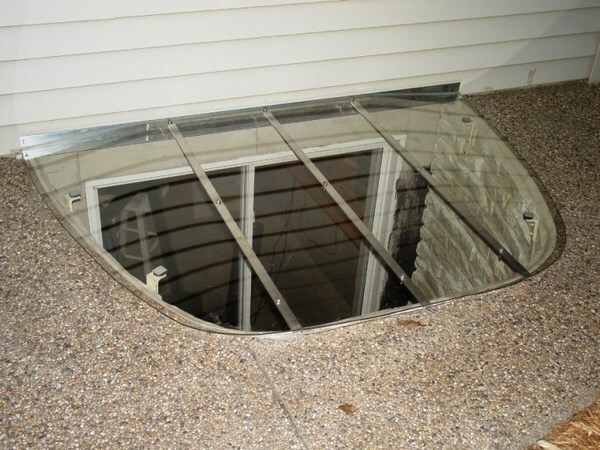 A major requirement for window well covers is that they can be removed easily and allow people exit the window well. 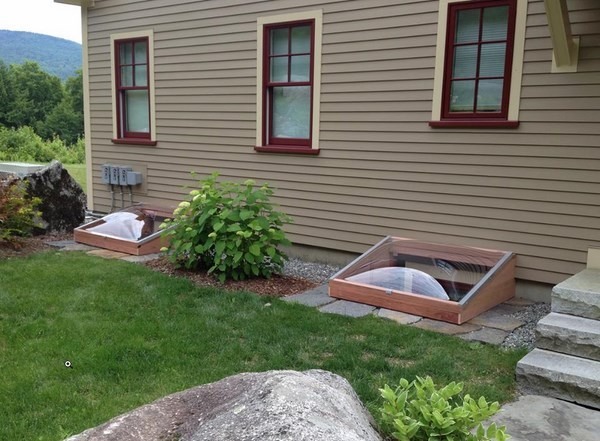 Typically, there are regulations and building codes, which control the type of covering and when you plan to build a window well it is best if you checked with the local authorities and building department for any restrictions, permits, etc. that may be required. 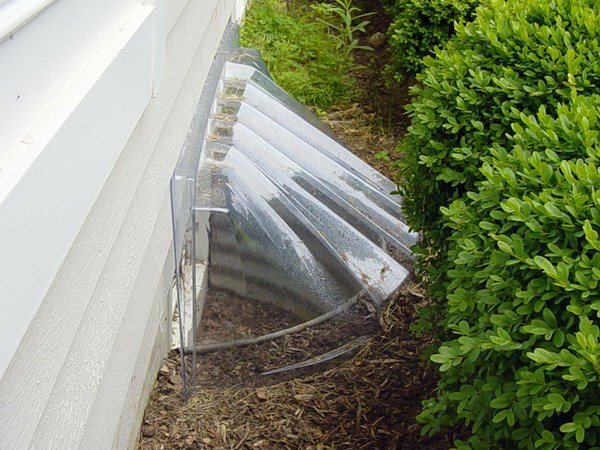 Why do you need window well covers? This is a question that has many answers. On the first place, they give a finished appearance to your house or apartment building. 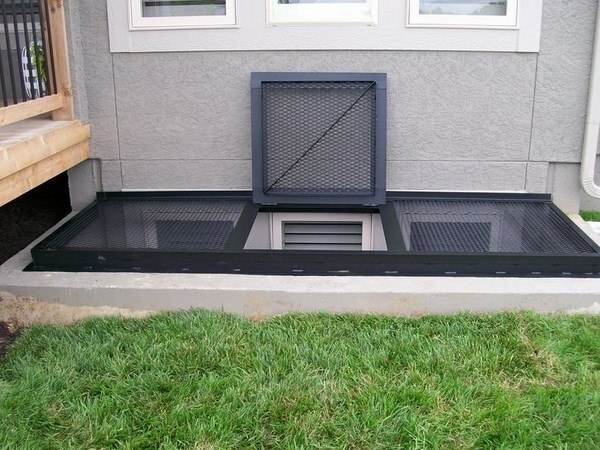 The aesthetic appeal is important, but there are other, more practical considerations for installing window well covers. 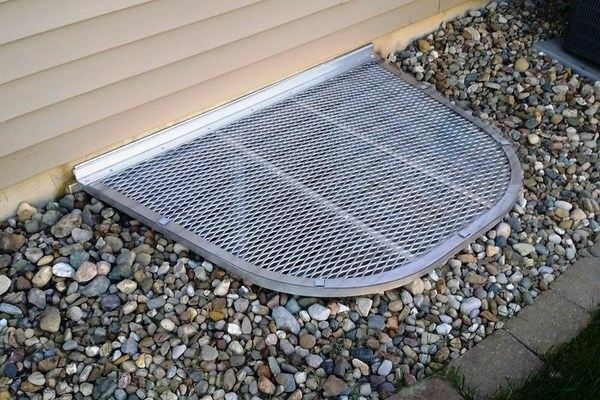 For example, they will not allow debris and dirt to collect and in terms of safety, a window well cover will prevent children, adults or pets falling into the opening. Durability is one of the most important considerations. 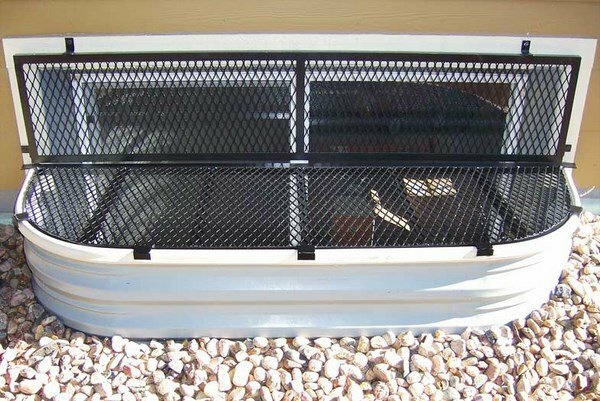 Whether you choose a metal grid or a polycarbonate cover, keep in mind that it will be exposed to elements, rain, snow, high temperatures, etc. You need to check the maintenance requirements for different materials as well as their resistance to rust. Installation is another factor that you need to consider. Usually they are easy to install and typically store purchased ones come with installation instructions which you need to read carefully before installing the covers. Safety and security considerations feature the ability of the occupants to leave the inside of a house or building easily. However, due to the fact that window wells provide an access to the inside as well, they may be attacked by burglars or thieves. When choosing covers, you could check for locks which are installed from the inside and are not reachable from the outside. 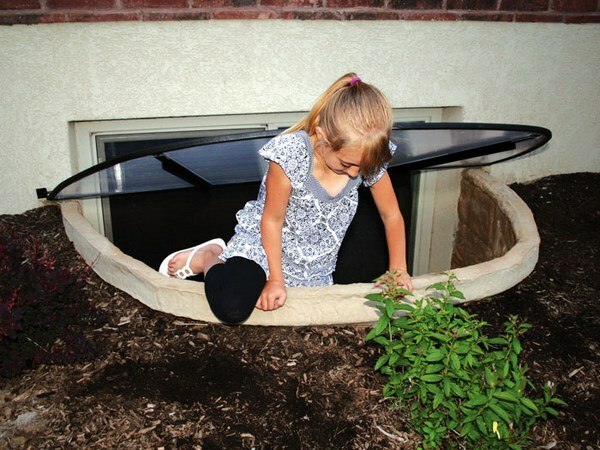 As far as safety is concerned, window well covers should provide protection against animals, pest infestation, and accidental falls of kids or pets and should be able to withstand the weight of an adult. Always check the warranty period. 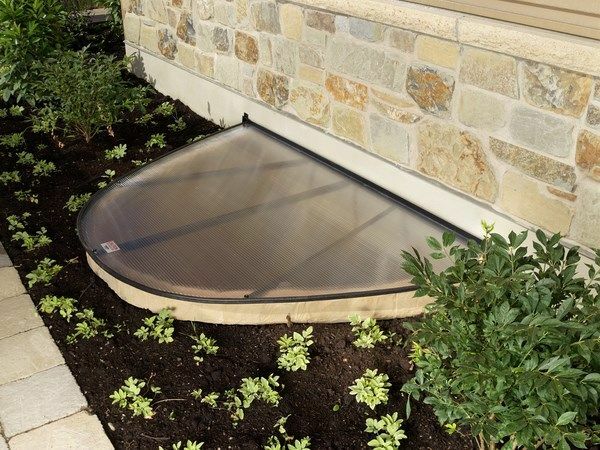 As much as safety, security, installation, and maintenance are important factors determining the choice of window well covers, factors like size, shape, and style will add the finishing touch to your exterior and will have a great impact on the curb appeal. How to choose the right size? Of course, you have to measure the window well to determine the size of the cover that you need. Make sure you measure from the face of the window to the edge of the well and if your window well is above ground level you need to take those measurements as well. 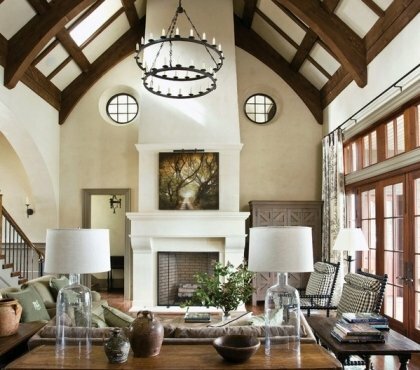 Choosing a shape is also important as the market offers many varieties – bubble shapes, rectangular, ovals, but whichever shape you choose it should match the shape of the window well. Basically, you need width, length and height (if the window well is above ground) and once you have the measurements and have checked them at least once, you are ready to purchase or order custom made window well covers. 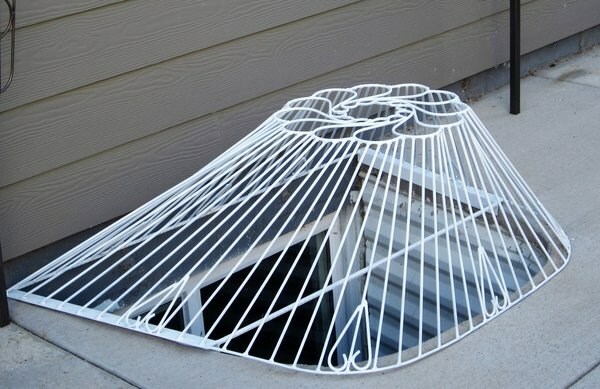 How to choose the style of the window well covers? When it comes to selecting the style you may be surprised how many options are available to choose from. Take a look at the exterior and the overall appearance of your home and choose a design that will work in harmony with the style of the home and complement the exterior design. 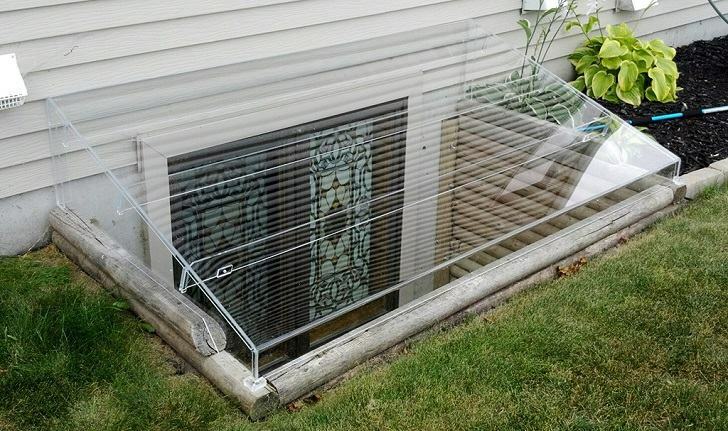 Some of the main styles to choose from are clear window well covers, standard grates, custom grates, wrought iron rates, flat or bubble covers, mesh, dome covers, etc. 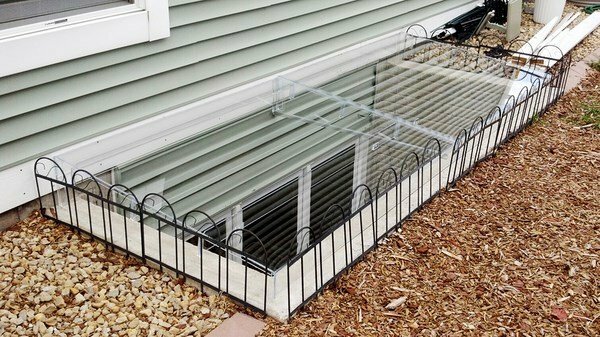 How to choose the type of window well covers? 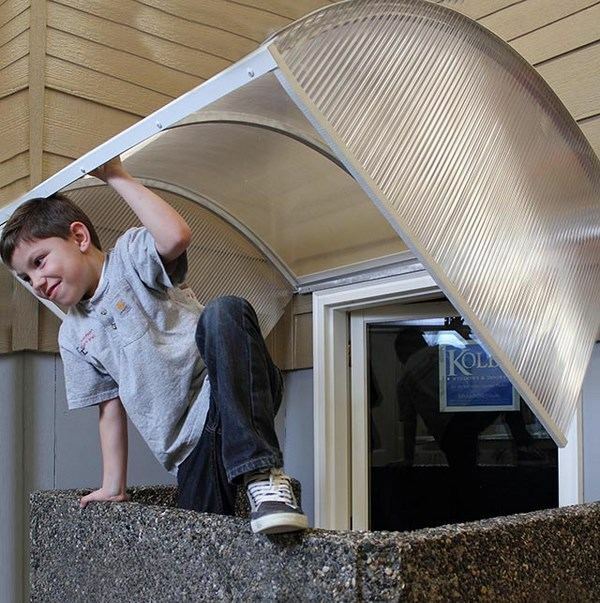 As we said, window well covers come in a variety of types, shapes, sizes and materials. You will find useful information for the different materials below, but let’s have a look at the different types. When choosing the type of the covers you need to know what do you want them to do – allow more natural light, function as a protective cover of the window well or add to the curb appeal of the house. 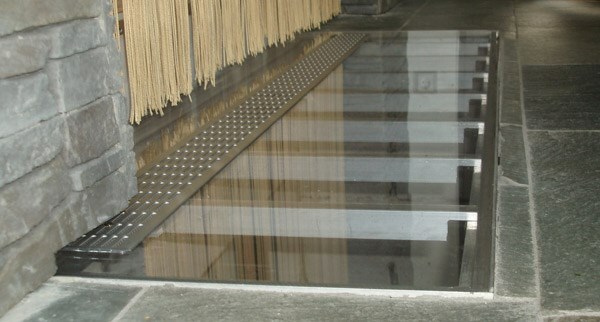 Flat window well covers lie flat upon the ground. 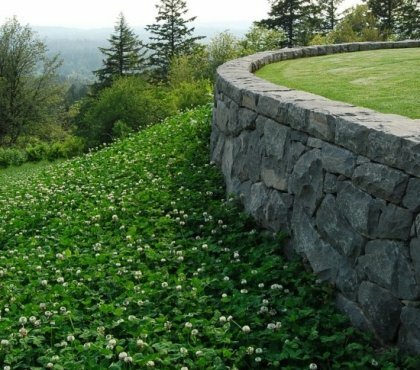 Those would be a good choice for homeowners who prefer the more unobtrusive design and effective protection against water, dirt, debris, and animals. 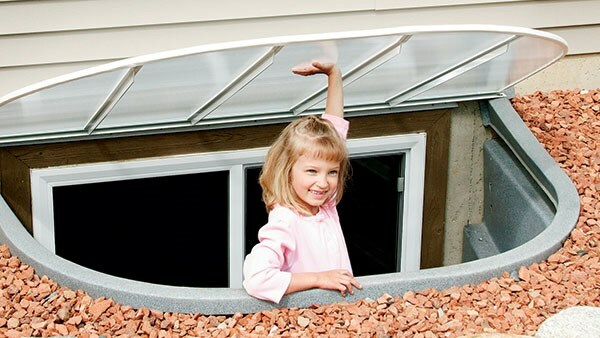 Slant dome and atrium window well covers are the perfect choice for basement windows which are above ground level. They provide a clear view and block out water and debris providing a very good protection from elements. 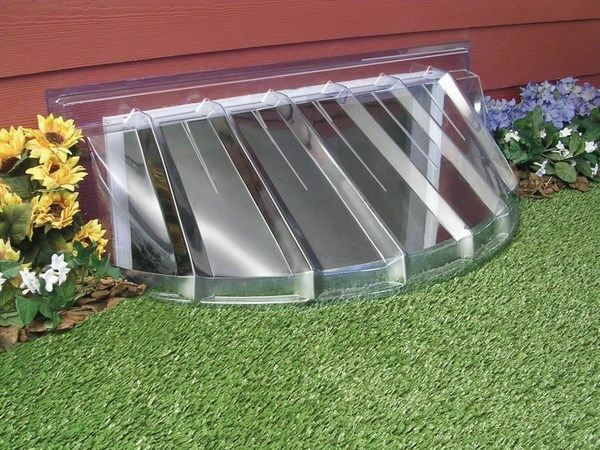 Grate window well covers are attached to the window well frame and lie flat. 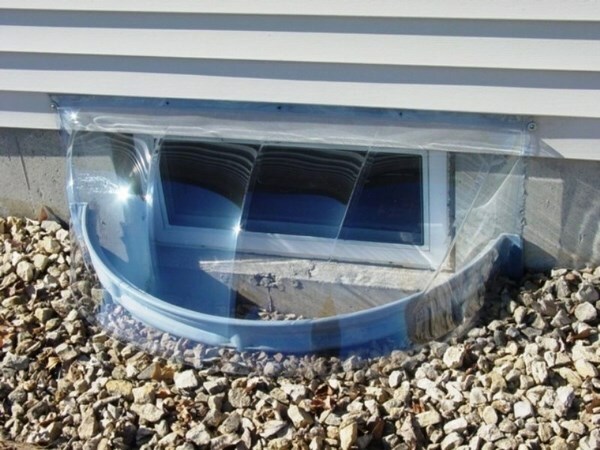 This is a good option to prevent large items, kids or pets from entering into the window well but a major disadvantage is that they do not protect the well from debris, fallen leaves water, snow, etc. 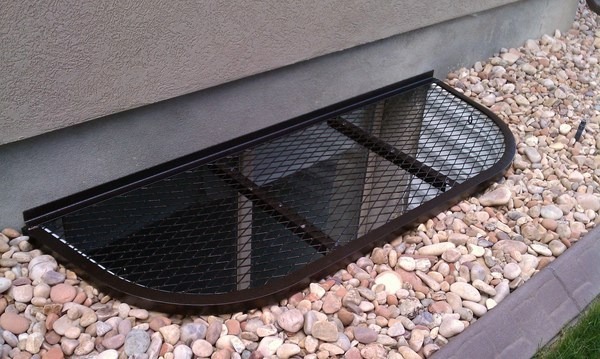 Grates with thick bars are durable and sturdy but may block the natural light flow into the basement. 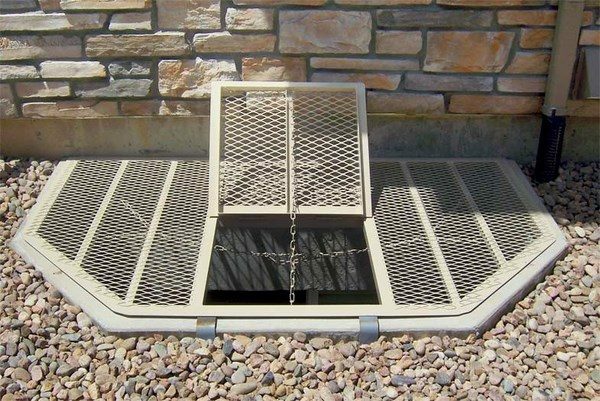 Typically, grates are made of metal – stainless steel, aluminum, wrought iron – and can be found in different color options. 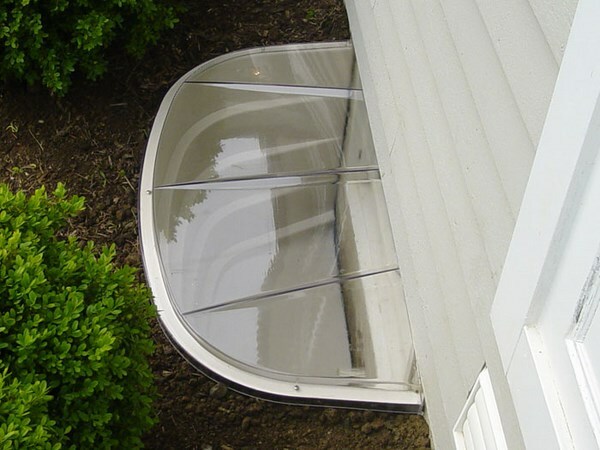 Bubble shaped and sloped window well covers are the most popular choices among homeowners. 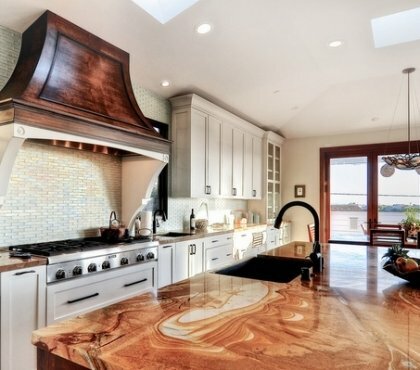 Bubble designs have a rounded dome shape, while sloped covers are flatter and lower to the ground level. An advantage of this type of covers is the easy maintenance, as they are cleaned very easily. Those covers are a good choice as they prevent from water, snow or ice. 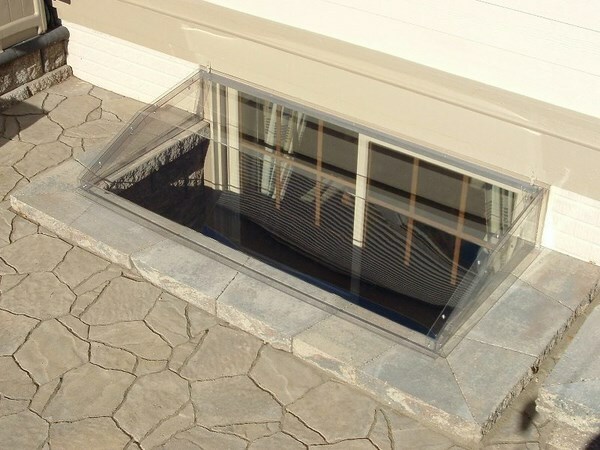 Custom made window well covers are designed for areas with an unusual shape or with non-standard dimensions and shapes, and, of course, when the homeowner wishes to add a unique detail to the exterior design. 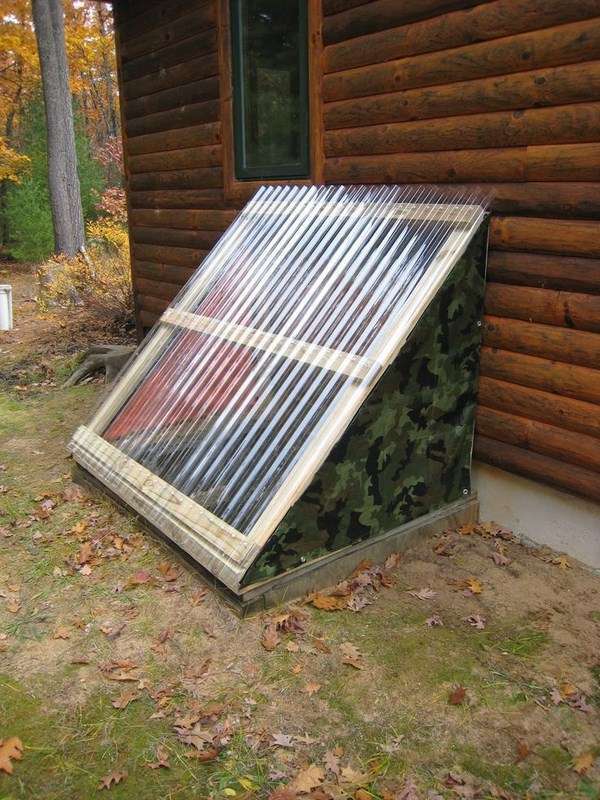 Many companies manufacture window well covers which can be bought in hardware stores and those who prefer to opt for a DIY project can install the covers themselves. You could hire a company that will come and measure, deliver and install the cover that you like or makes the cover as per your individual needs, specifications, and requirements. 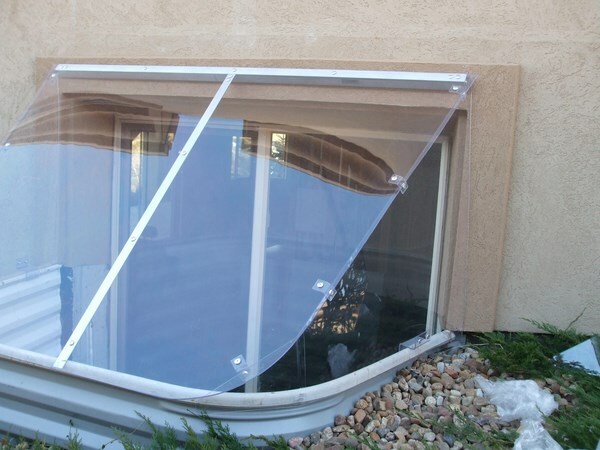 Window well covers – what do you need to know when choosing the material of the cover? Obviously, there is a variety of choices in terms of shapes, style, and sizes but when choosing a window well cover you need to keep in mind both practical and aesthetic concerns. 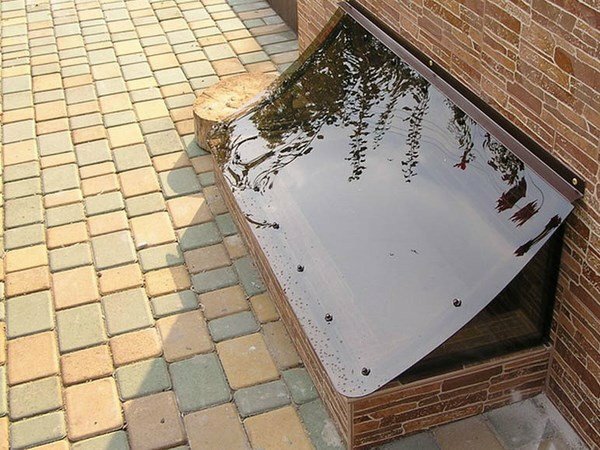 Window well covers are made from different materials, each of them has advantages and disadvantages of its own. Materials differ in strength, durability, maintenance requirements, the ability to provide protection against elements, etc. 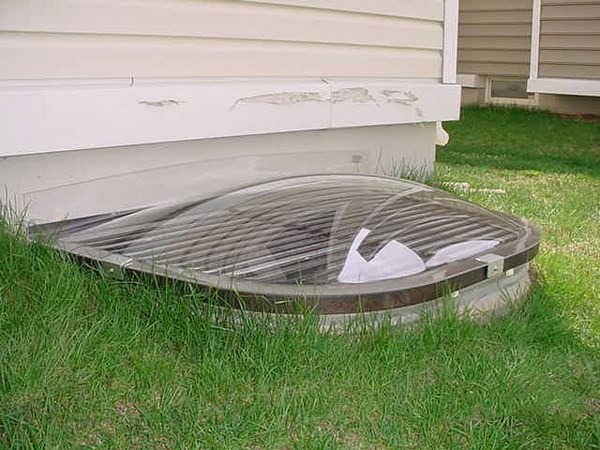 We shall look at the most popular materials, but make sure that you do not purchase window well covers with low quality as you will encounter problems like leaks, discoloration, rust, even mechanical damage. Covers made of durable, rustproof materials would always be a wise and worthy investment which will serve you for many years. 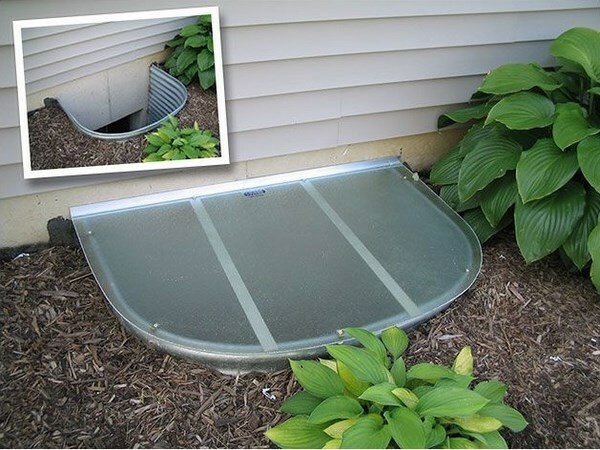 Generally, there are two types of materials used for the manufacturing of window well covers – plastic materials, mainly polyethylene and polycarbonate (thermoplastic) – and metal materials like aluminum and steel, typically used for window well grates. 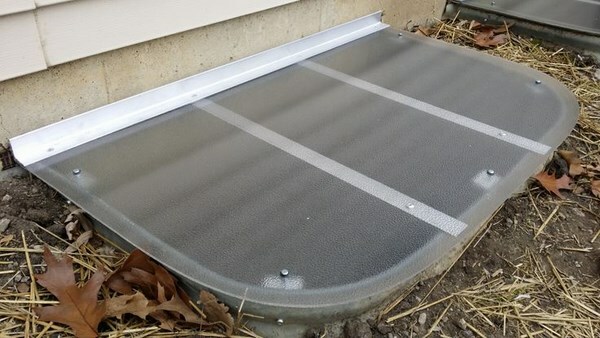 Metal window well covers protection from debris, large objects entering the window well, and can be installed on basement windows in combination with clear plastic covers for additional protection against water, snow, falling leaves and smaller debris. In general, the advantages are the great durability, resistance to temperature changes and elements. 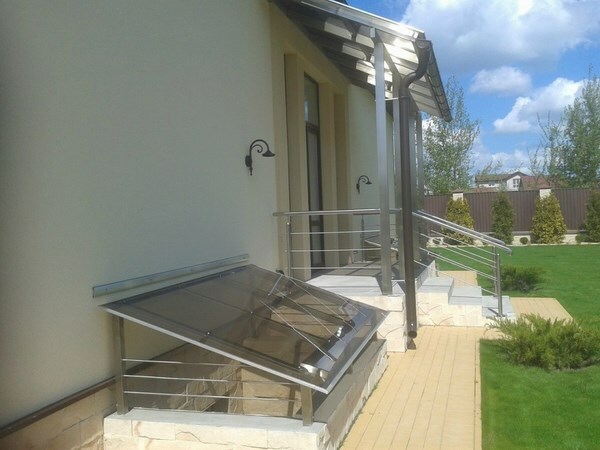 On the downside one can say that they may look and actually be heavy which makes an exit through the window quite difficult and in addition, metal grates are blocking light, but if you have privacy concerns, metal grates are a good option. Aluminum covers are a good option as they are durable, resistant to rust and can support heavyweight and can be powder coated in a variety of colors to match your exterior color scheme and blend harmoniously with your house appearance. 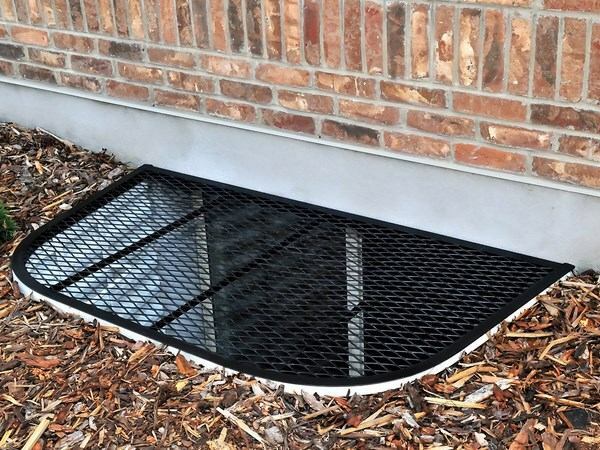 Steel covers allow a good airflow and a long lifespan, great durability, and resistance to elements. Most come with an anti-corrosive coating. 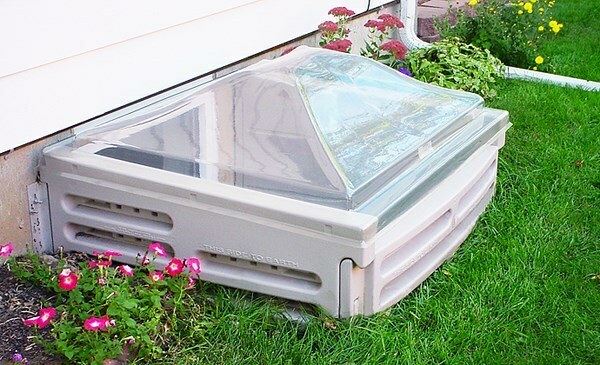 Plastic window well covers come in different types of material as well – acrylic covers, plexiglass, polyethylene, polycarbonate. Plexiglas and acrylic are used interchangeably as terms and the main advantage of the material is the lower price, high level of impact resistance and relative lightweight. Plexiglas is easier to cut than polycarbonate but cracks more easily and is more likely to chip. Another major disadvantage is that it is not fire resistant and you should avoid installing plexiglass covers in areas where flames may be present. Plastic covers can be easily damaged and you will have to replace them. Polycarbonate options are more durable and offer a great number of advantages compared to polyethylene or plexiglass alternatives. The most important feature that makes polycarbonate so popular is translucency and the fact that it does not block the light flow. The fact that polycarbonate is extremely tough makes it a great material. It looks very attractive and comes in clear or opaque variety. Such covers are able to withstand heavy weight and massive force without breaking. Polycarbonate is resistant to ultraviolet rays which make them a perfect choice for covers. 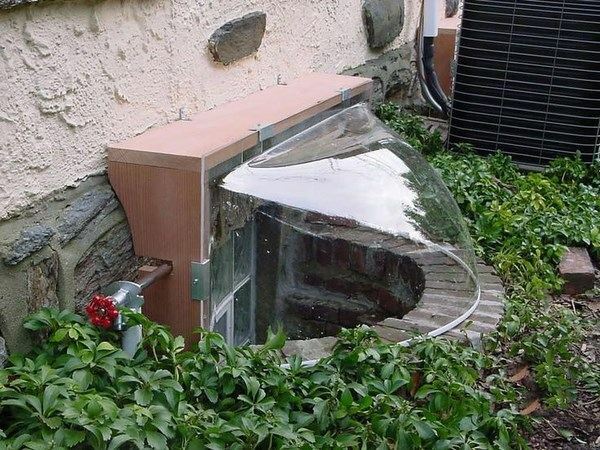 In addition, these window well covers are much lighter than metal, acrylic, or other plastic options which mean they are easily transported and installed. 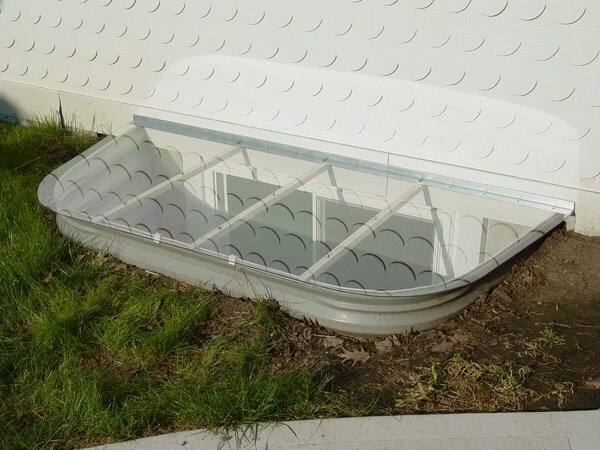 Polycarbonate is also resistant to temperature changes with less expansion and is not affected by rain or snow, which means you will not have unpleasant effects like fading, yellowing, or discoloration for a long time. Among its advantages, we have to point out that polycarbonate is resistant to acids and chemicals as gasoline and can be easily drilled without cracking. Its level of flammability is very low which, in terms of safety, is a great plus. The high price tag compared to other materials is one of the major disadvantages. Another disadvantage is that polycarbonate is not resistant to scratching, marring and has a low level of resistance to abrasive cleaners and surfaces which mean that it can suffer denting on the surface. Cleaners containing acetone, benzene or other organic solvents must not be used to clean polycarbonate covers. 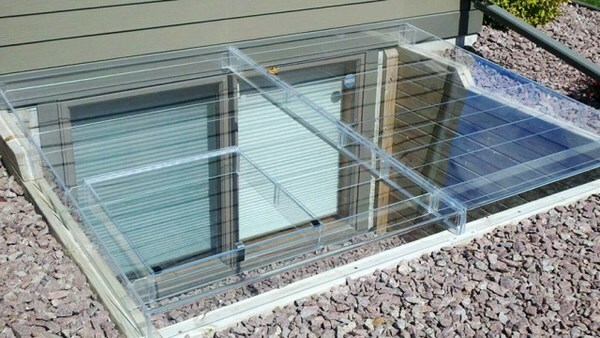 It is advisable that you choose durable materials like steel, aluminum or polycarbonate for your window well covers. There is not a maintenance-free solution no matter which material you chose. Of course, you will have to keep debris off of them to optimize light and every window well cover requires routine maintenance like cleaning out debris, fallen leaves, washing, etc.